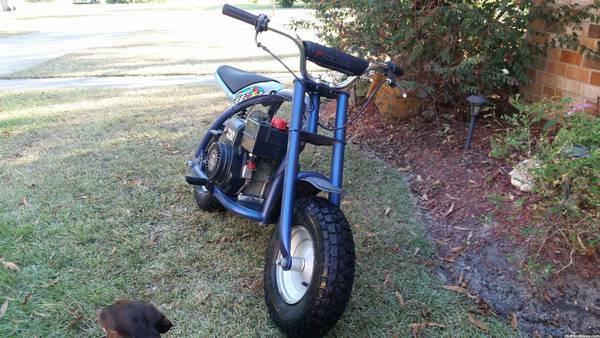 How do I get added the Murray track 2 mini bike owners group? New to this site/forum. 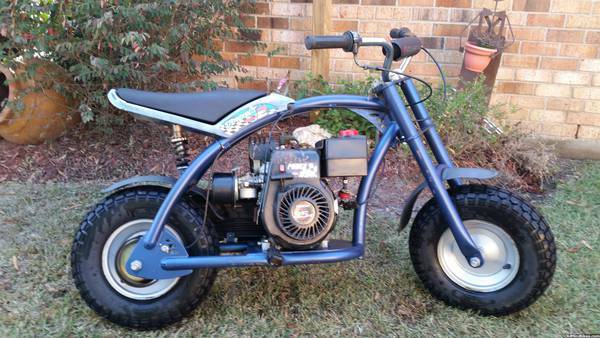 I have two (2) Murray Track 2 minibikes that I bought for my sons in 2001 or 2002. They have been through hell and back and are sitting in my garage and both run well. One is missing it's brakes and the other has a flat on the rear tire. Both need a little TLC in the clutch department and a major clean-up. Before I tear into these bikes and redo them to re-give to my now-grown sons for Christmas...I have a few questions. ==I assume the tires are tubed...is this correct? ==These minibikes never went up hill very well. Seemed like the clutch was always weak. Any recommended upgrades? 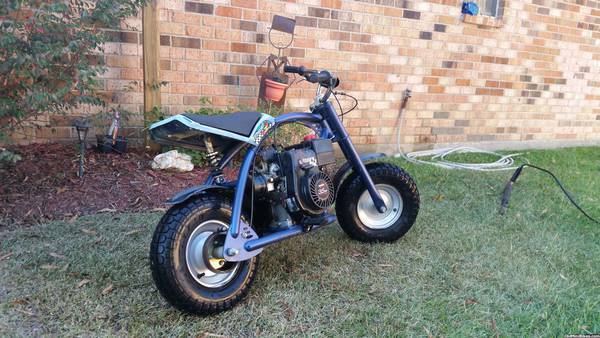 ==I know these minibikes were only made for a couple of years - any place to get Murray Track 2 specific parts, decals, etc? I am looking forward to hearing from you. I promise to get before and after pics posted too. OK...the tires are tubeless. I managed to air two of them up but the tires are old and stiff. Probably will get 4 new tires. One minibike started up, but had to run really rich with the choke on to get it to go. Sounds like I need to clean the carb and get a new plug to replaced the 13 or 14 year old one. I found the old brakes that were removed...I think they are complete. Ultimately these minibikes will be going to our hilly farm. I would love to be able to ride the trails. Any advice on getting the clutch to grab on hills better will be greatly appreciated. Did my kids overgrease them? Nicely cleaned up! Mine are still a work in progress. I wrecked mine on the 13th of this month. Bent the front forks into the frame and got a good bit of road rash on my forearm. Had to heat the forks up with a torch and bend them back. I will attempt to weld where the threads are on the head and attempt to thread them back. If it's a no-go then I'll be on the look out for a "parts bike" but don't think I'll find one..